This university building concentrates all circulation in a large hall on the first floor. The ground-floor practical classrooms, the offices and lecture room at the western head and the restaurant in the east are all linked to this hall along stairs. Rainwater collected on the roof is conveyed through giant funnels to the pool in the hall, where it is used to cool the building. 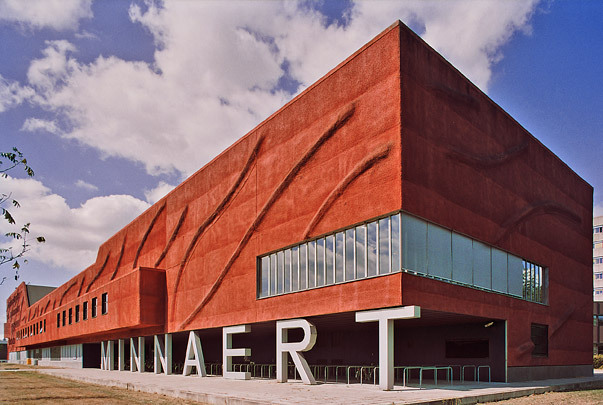 The facade is clad in bright red concrete sprayed on in a wavy pattern. Inside, the concrete walls are largely left untreated, with large colour fields determining the ambience.